The dangers inherent in the financial system make understanding risk management essential for anyone working in, or planning to work in, the financial sector. 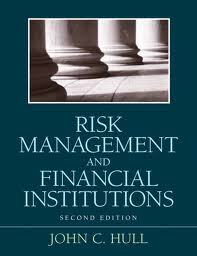 A practical resource for financial professionals and students alike, Risk Management and Financial Institutions, Third Edition explains all aspects of financial risk as well as the way financial institutions are regulated, to help readers better understand financial markets and potential dangers. Fully revised and updated, this new edition features coverage of Basel 2.5, Basel III and Dodd-Frank as well as expanded sections on counterparty credit risk, central clearing, and collateralization. In addition, end-of-chapter practice problems and a website featuring supplemental materials designed to provide a more comprehensive learning experience make this the ultimate learning resource. Written by acclaimed risk management expert, John Hull, Risk Management and Financial Institutions is the only book you need to understand—and respond to—financial risk.